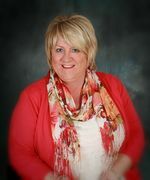 FULLTIME Realtor, committed to providing Premier Service to all my clients. With 8 years working in the St. John's / Mt. Pearl region and Many years in the Southern Shore Area, I know Newfoundland Real Estate!! Through continuing education programs such as Masters Edge and various programs offered through our brokerage I keep my knowledge of the ins and outs of the Real Estate Market and Business up to date. I was born and raised in a rural community on the scenic southern shore. I am a mother to two children. I have been involved in business for the last 30 years. I attended MUN and received my degree in 1984. I have operated several successful businesses from restaurants, hotels and real estate for many years. I am a person who enjoys people and I have always kept the service as the main focus of my business. I am a dependable business woman, honest and sincere. I always keep the best interest and wellbeing of my clients as my first priority. I have been with HomeLife Lifestyle since 2004 and enjoy working with the general public on the biggest investment of their lives. Looking to buy or sell, call Michelle for all of your Real Estate Needs. Disclaimer By entering my contact information I give my express consent to be contacted by 'Michelle E. Mitchum, HomeLife Experts Realty Inc. *' and or real estate salespeople on behalf of 'HomeLife Experts Realty Inc. *' to discuss potential services.